Today's custom rifle relies on technological advances to achieve its superb accuracy. Stainless steel barrels, composite stocks, super-strength epoxy bedding, and precise construction techniques have given us rifles capable of outstanding accuracy. The goal is always to eliminate variables so that every bullet hits closer to the next. SpeedLock Systems helps overcome one of the most influential variables: lock time. Lock time is the time between the trigger break and primer ignition. The flight time of most bullets through the barrel is 1.0-1.5 milliseconds (thousandths of a second) while the lock time of most conventional bolt action rifles varies between 2.6 and 9.0 milliseconds. 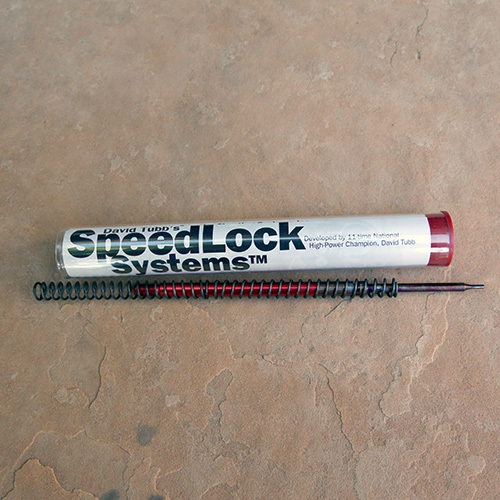 On average, a SpeedLock Systems firing pin cuts lock time approximately 31-percent. 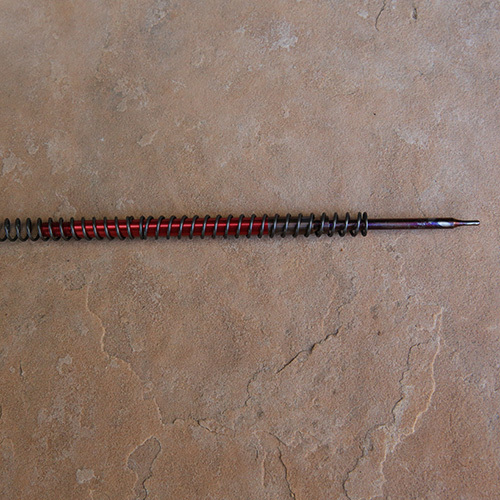 Combined with the innovative SpeedLock CS Duo firing pin spring (included), lock time is reduced another 8 percent. This is a total reduction in lock time of almost 40 percent. The result is simple: a reduction in lock time will cause your rifle to hit closer to where you held the sight when you pulled the trigger. Everyone's rifle is moving when it's fired. The amount of movement may be almost imperceptible, but that's all it takes. If you're shooting at a trophy deer at 300 yards, movement at the muzzle of only 0.058 inches means a missed animal. If you're a competitive silhouette shooter, just 0.022 movement makes the difference between a hit and a miss on a 500 meter ram. When lock time is reduced, the probability of hitting your target is increased. SpeedLock Systems helps squeeze that last ounce of accuracy from your rifle, and accomplishes this with a minimum of time, effort, and cost (must be installed by a competent gunsmith). It's been proven that primer ignition is a critical factor in accuracy and consistency. Another benefit of the alloy firing pin is that its lighter weight coupled with a chrome silicon spring results in a higher velocity striker. SpeedLock Systems parts deliver a higher energy impact faster and more efficiently. Our lightweight pin also ignites the primer with less movement of mass, thereby greatly reducing the vibrations associated with firing pin fall. These vibrations begin to cycle and oscillate the muzzle well before the bullet exits the barrel. A SpeedLock Systems pin reduces the level of this oscillation to the extent that the accuracy of your rifle may actually improve. This effect is easily seen by dry firing from a benchrest using a high powered scope. Watch the reticle movement "before" and "after" and the difference is astounding. SpeedLock Systems firing pins are very durable. Our pins are an alloy composite construction. Materials and construction for each pin has been carefully optimized. The primary material in our pins is an aluminum alloy for high tensile strength and rigidity. SpeedLock pin tips are heat-treated 4140 steel.